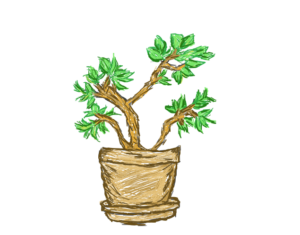 A binomial random variable is the number of successes, denoted x, in a binomial experiment with n repeated trials, and it follows a binomial distribution. 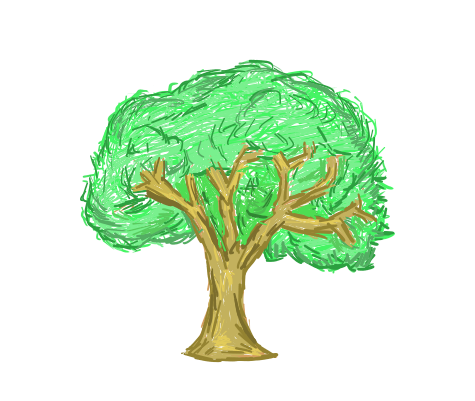 Let’s walk through some examples to gain a better understanding of the binomial distribution. Example 1: John makes 60% of his free-throw attempts. If he shoots 12 free throws, what is the probability that he makes exactly 10? 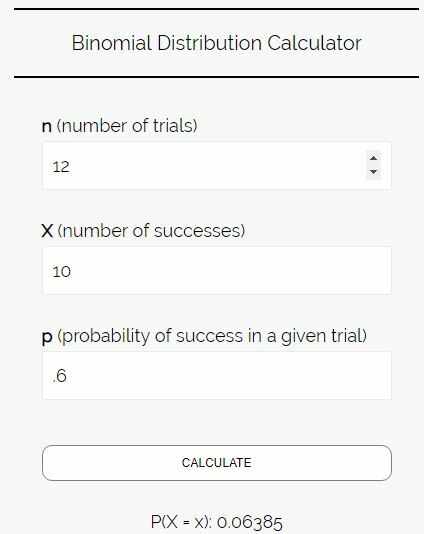 Step 1: Identify the number of trials (n), the number of successes we’re interested in (k), and the probability of success on each trial (p). The probability that John makes exactly 10 free-throws is about 6.3%. Example 2: A factory receives a shipment of nails once per month. On average, 2% of the nails are defective. If there are 500 nails per shipment, what is the mean and standard deviation of the number of defective nails per shipment? Step 1: Use the formulas for the mean and standard deviation of a binomial distribution to answer this question. The mean number of defective nails per shipment is 10 nails and the standard deviation is 3.13 nails. Example 3: Ando flips a fair coin 5 times. What is the probability that the coin lands on heads 3 times or more? Step 2: Since we want to know the probability that the coin lands on heads 3 times or more, we need to find the probability that it lands on heads 3 times, 4 times, and 5 times, then add up these probabilities. 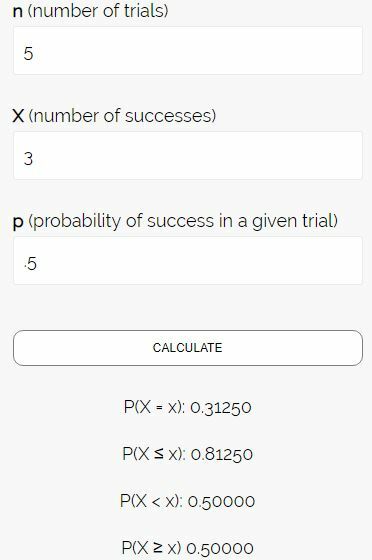 The calculator tells us that the probability of getting 3 or more heads (PX ≥ x) is 0.5, which matches the result we got using the formula.